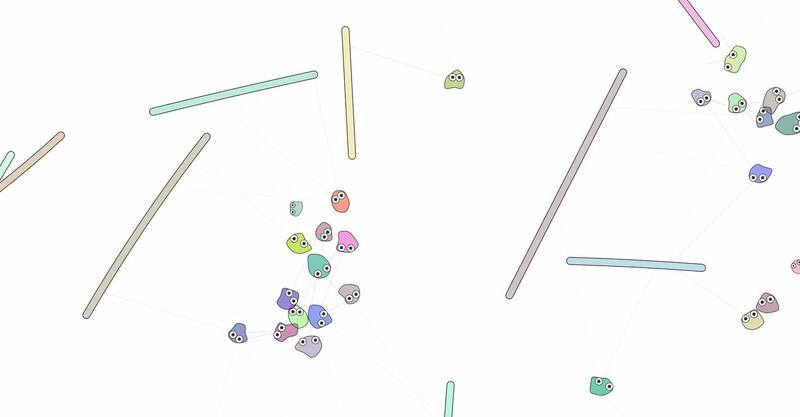 Creatures Avoiding Planks is a web toy demonstrating natural selection. Wee blobby creatures wander around avoiding floating planks, which kill on touch. If one lives long enough, it reproduces, passing on slight variations of its own movement behavior to the offspring. The brilliant work of @hardmaru, I can't watch it anymore because I feel so sorry for them.